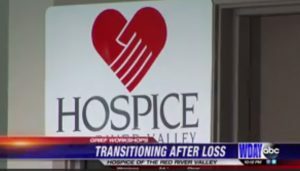 WDAY News recently spoke with Wendy Tabor-Buth, Hospice of the Red River Valley’s bereavement manager, about a six-session class being offered this fall called ‘Transitions: Beyond Widowhood.’ Watch the interview here. The class is for men and women who have been widowed for more than one year and who wish to address the more practical aspects of widowhood. Topics covered include maintaining emotional and physical health, re-examining values, home maintenance, making connections, dating and financial planning.